The XP-SNET controller will automatically process the alarm messages and react in accordance to the Instruction Control configured in the xPortalNet software even without the intervention of the security officer. Unlike conventional digital input sensors, the sensor inputs connected to our extension boards are electronically supervised. The XP-SNET controller is able to detect whether the sensor wire has been bypassed or cut as long as the sensor is properly installed following our installation guidelines. 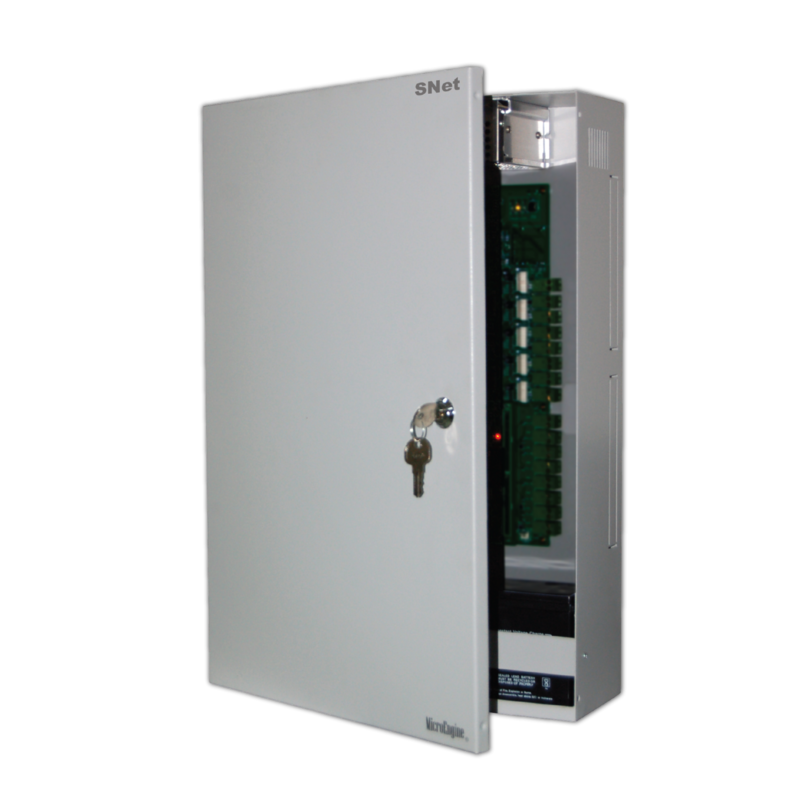 The XP-SNET controller has built-in relay output that can be configured as alarm output, time controlled output or general purpose output. 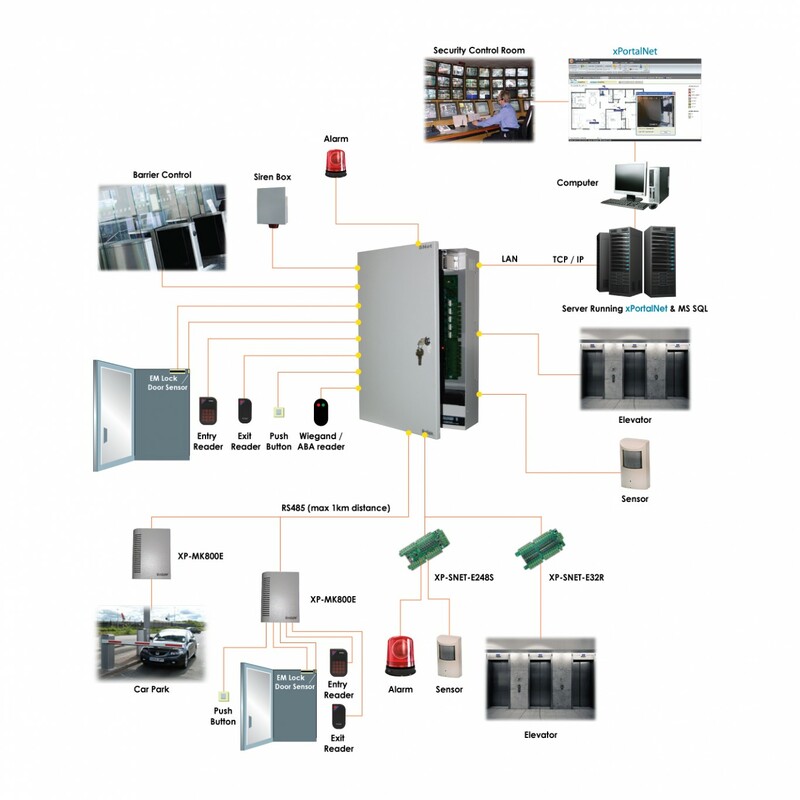 You can even program an output to be triggered by an alarm event, such as in the case of connecting the relay output to a video recorder and the relay can then be used to trigger video recorder to record from a particular CCTV when an alarm occurs. Most of the security devices such as smoke detectors, magnetic contacts, motion detectors, and seismic sensors can be connected to our alarm processor without any problem. The zone arming can be activated either manually, time zone controlled or group controlled. The controller is connected to the computer for real time reporting and management. The Integrated Security Management System (ISMS) software continuously displays the status of each sensor either in text list form or in a floor plan mapping for ease of identification. The ISMS software can also be configured to sound an alarm in the computer whenever there is an alarm present.